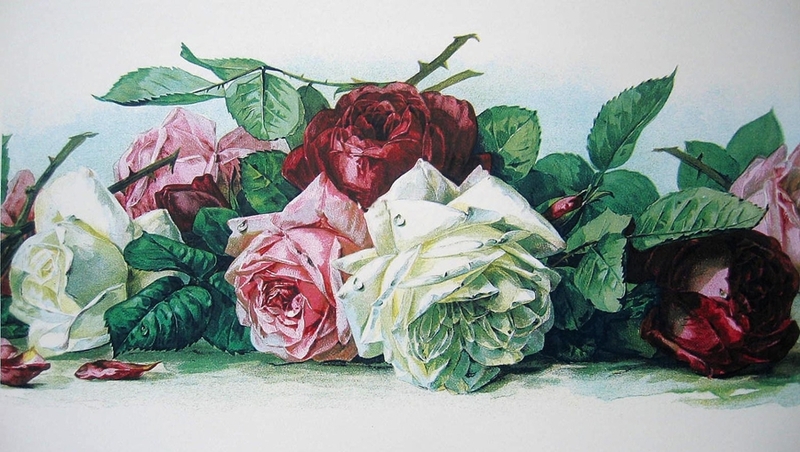 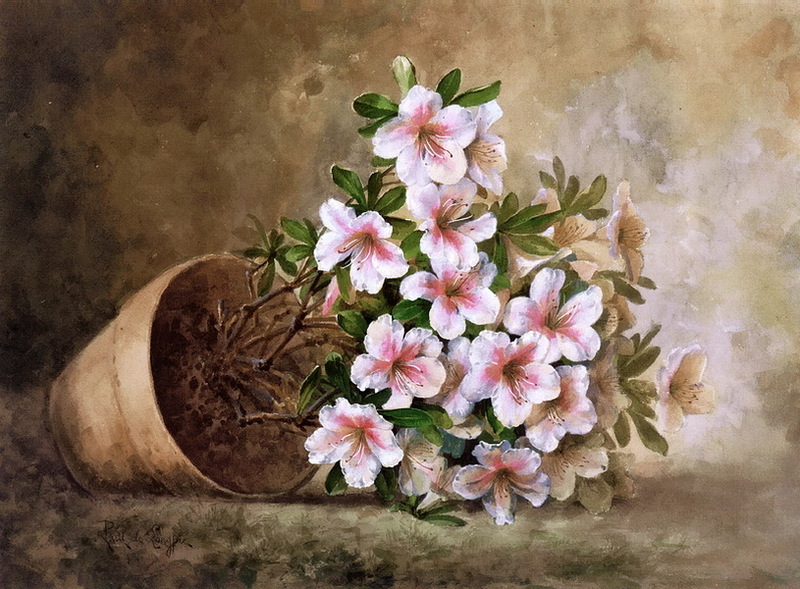 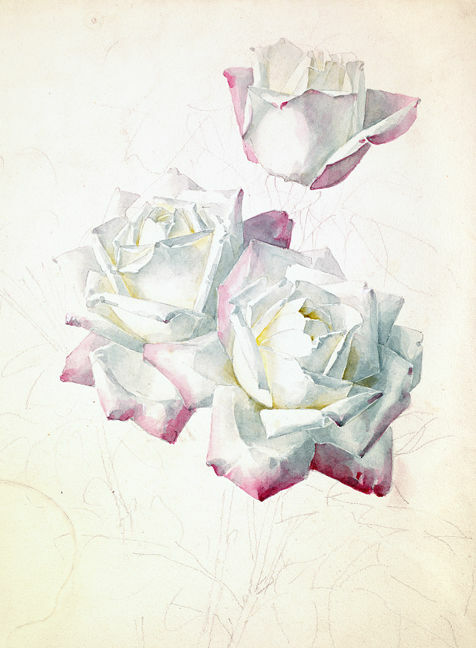 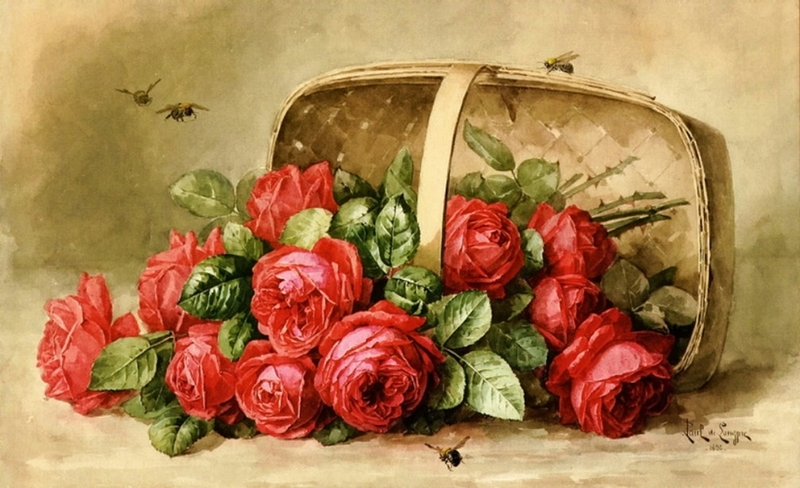 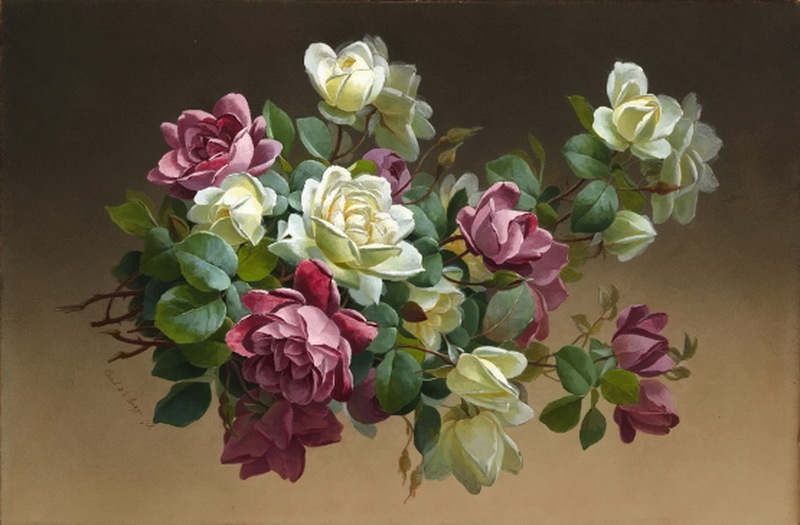 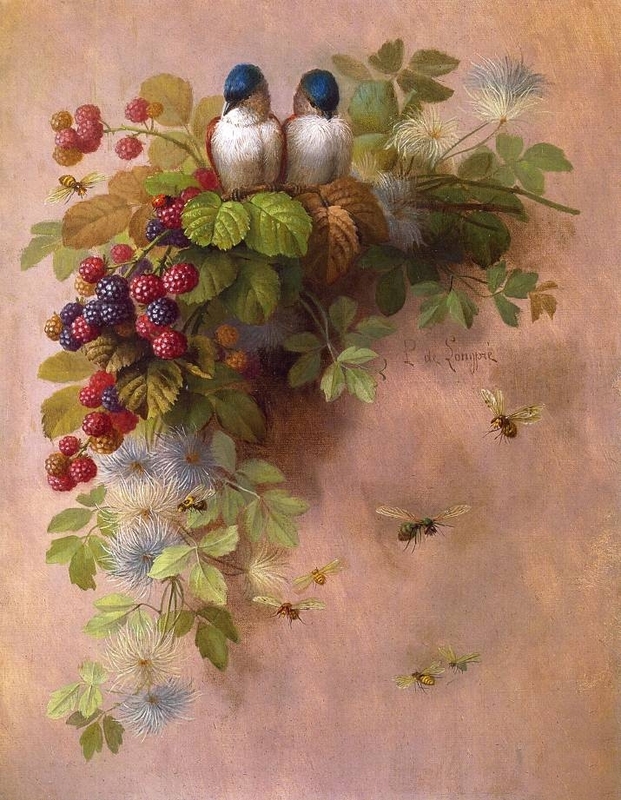 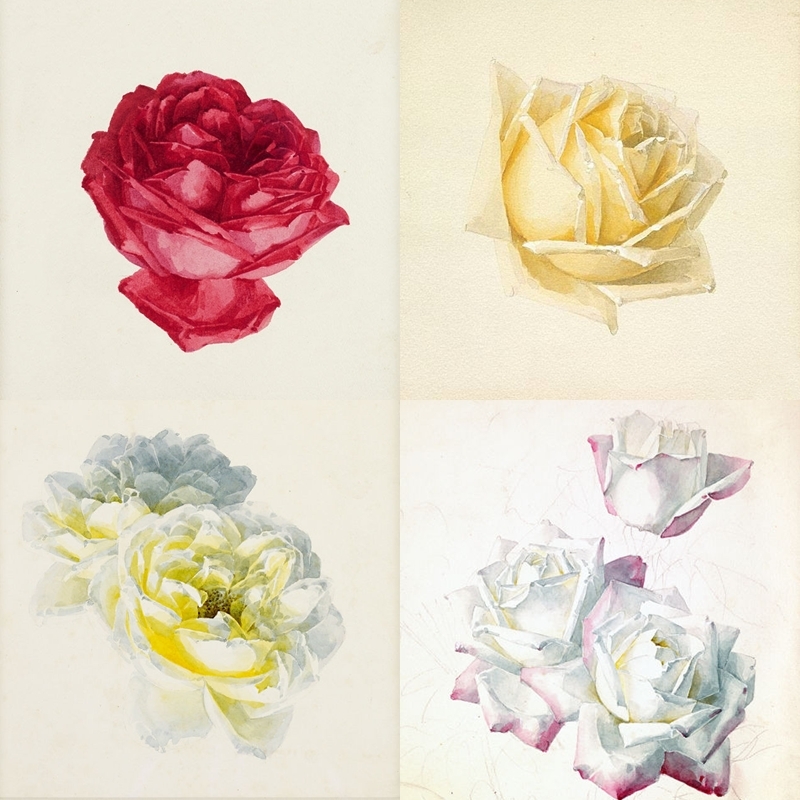 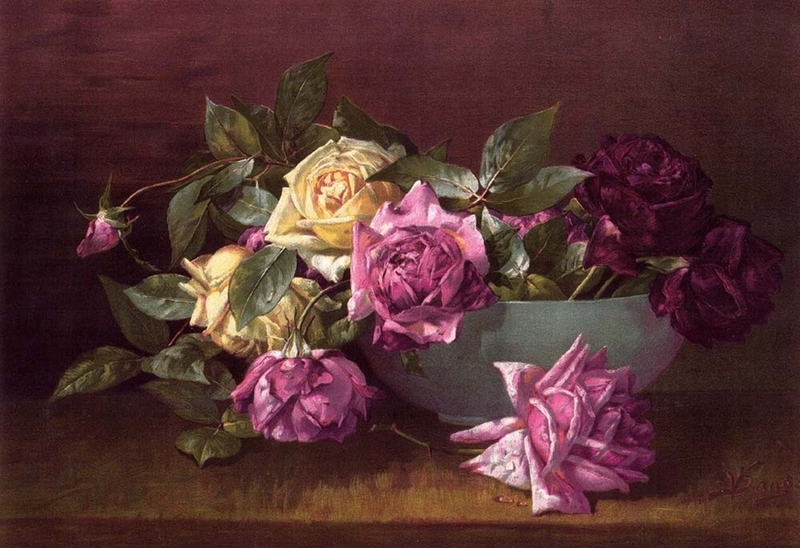 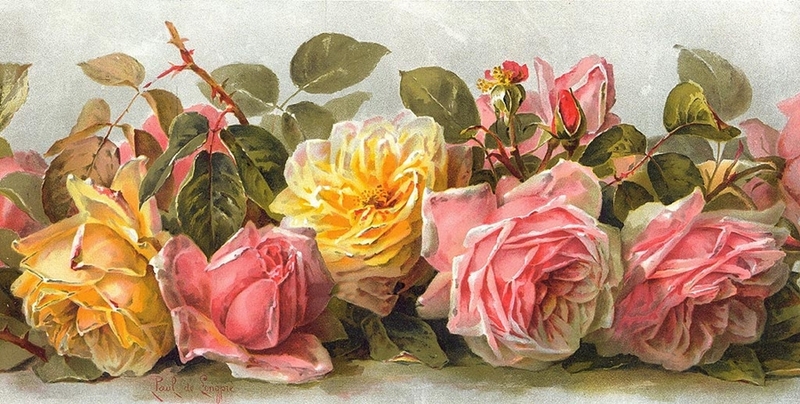 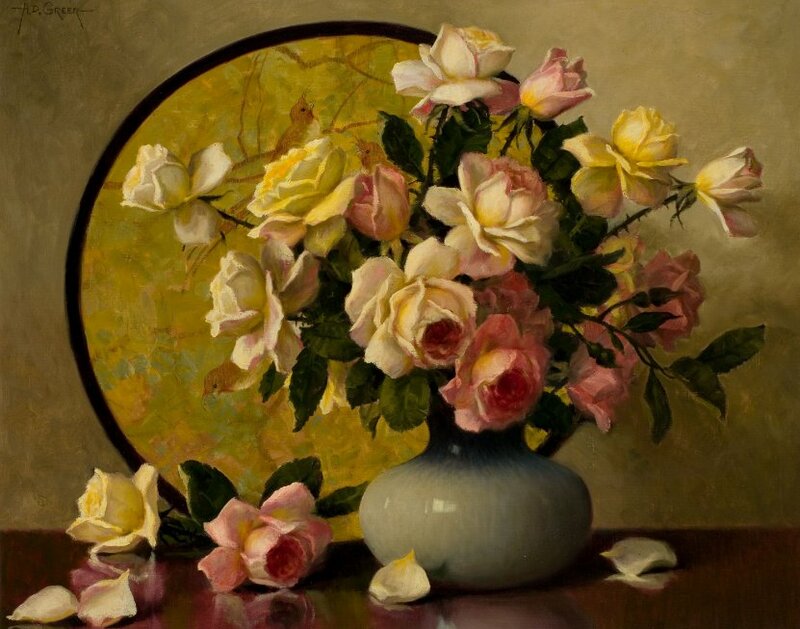 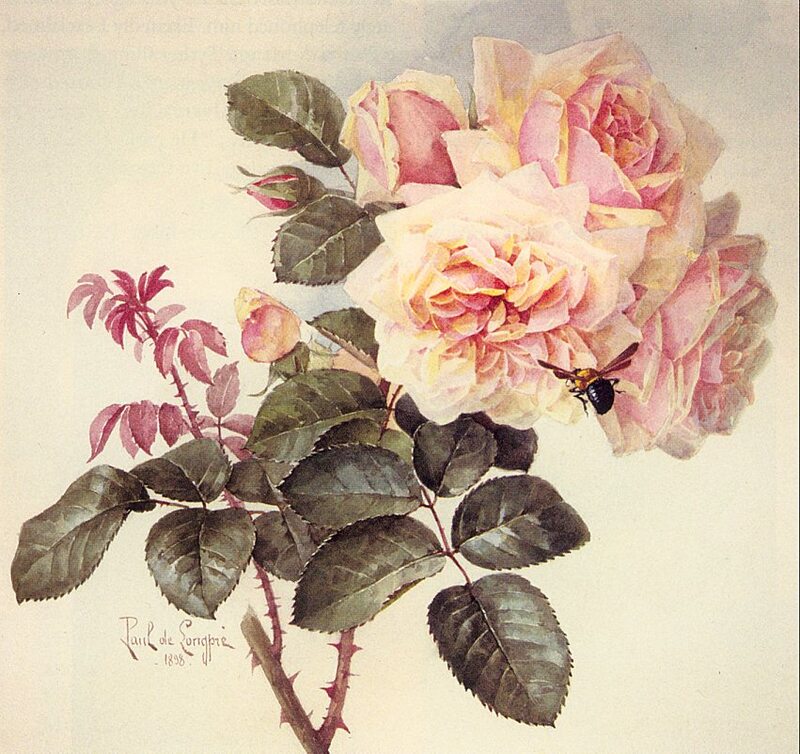 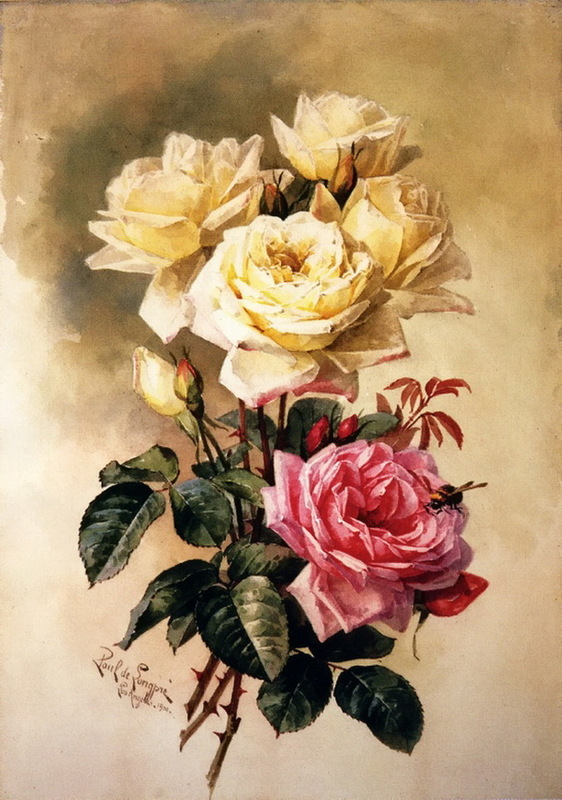 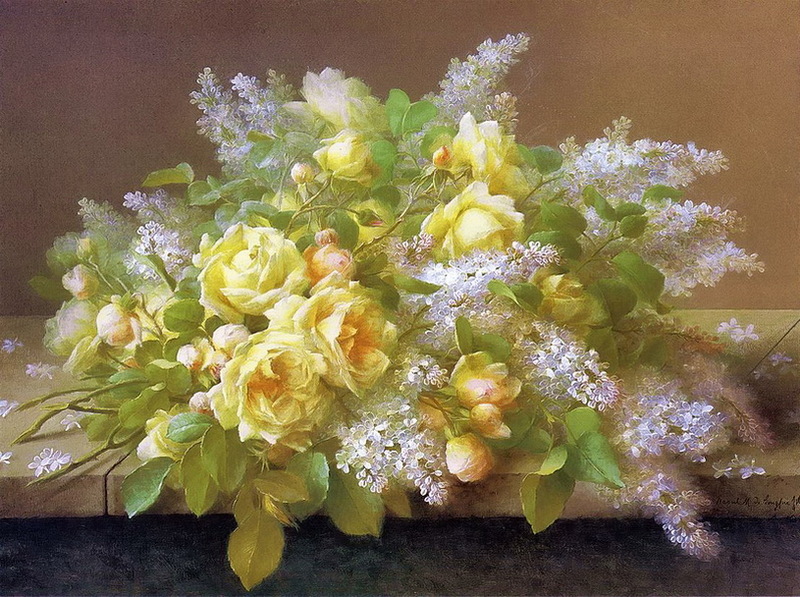 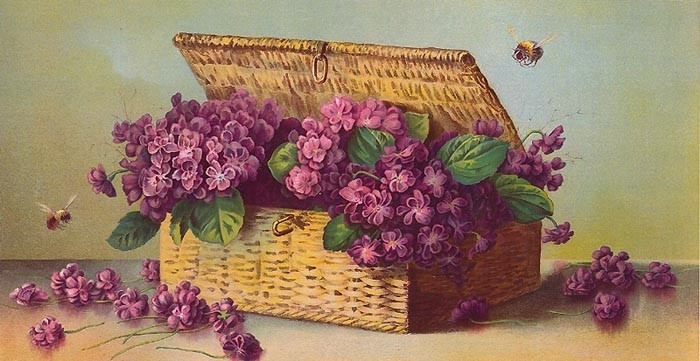 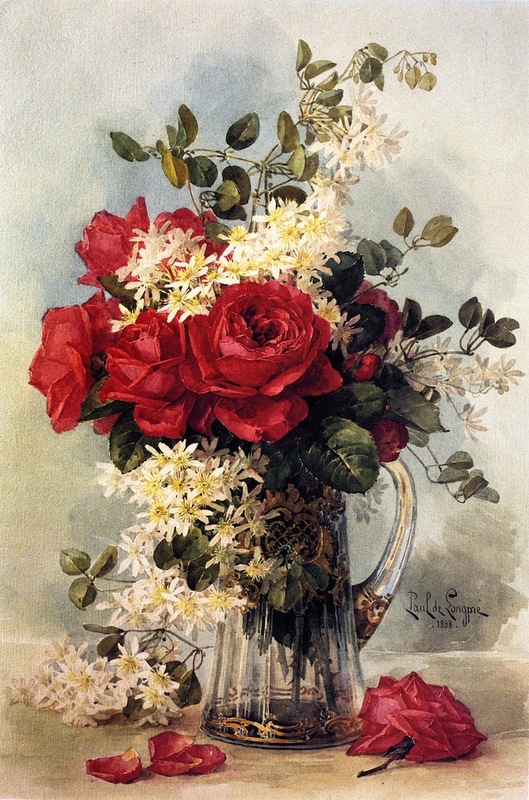 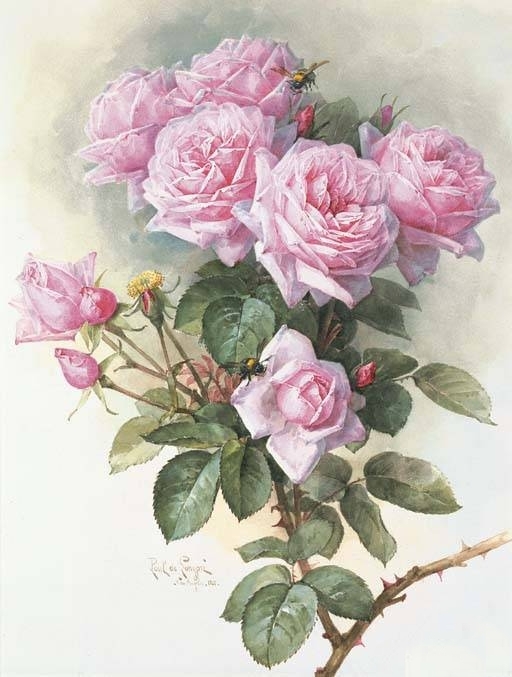 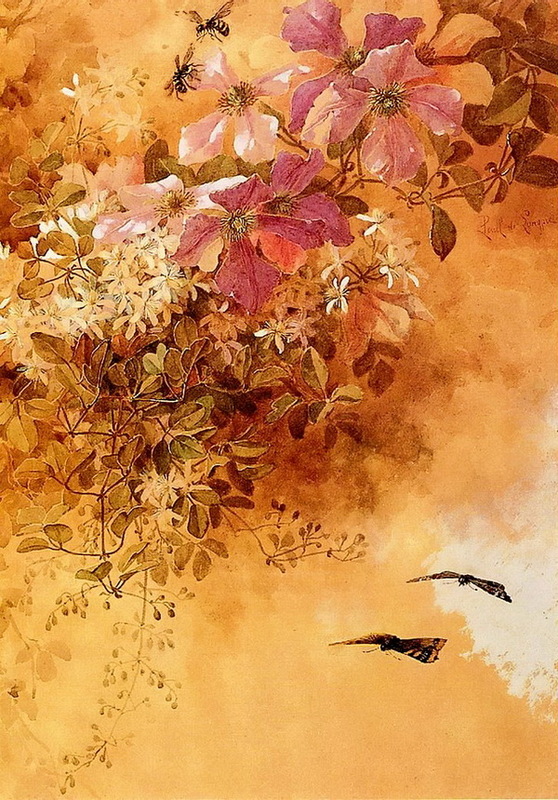 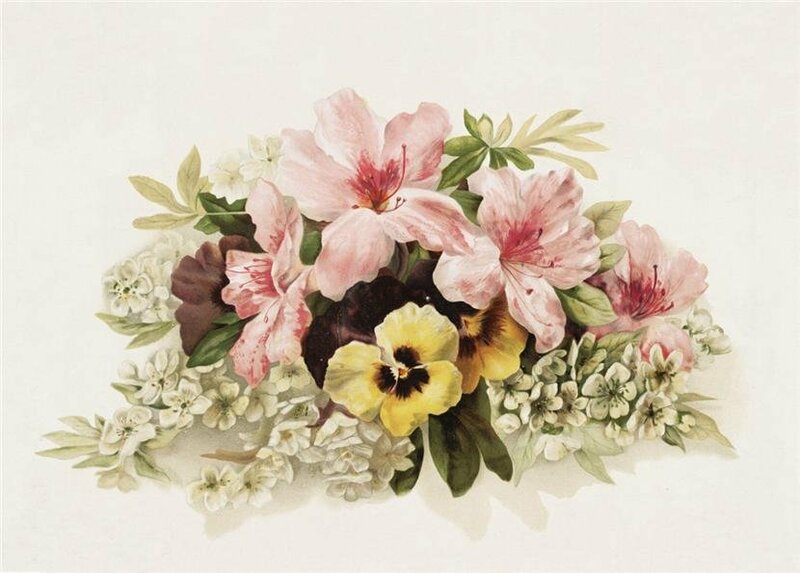 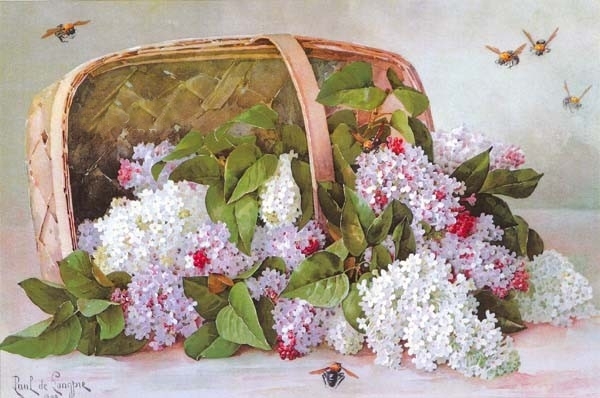 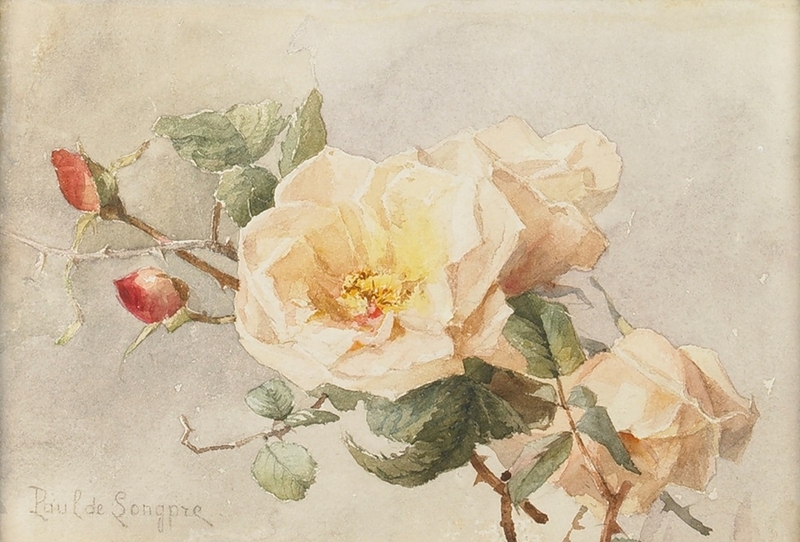 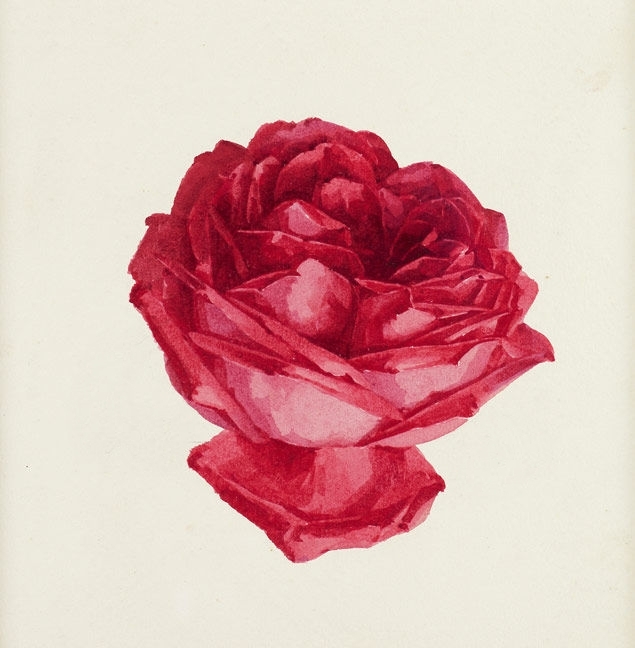 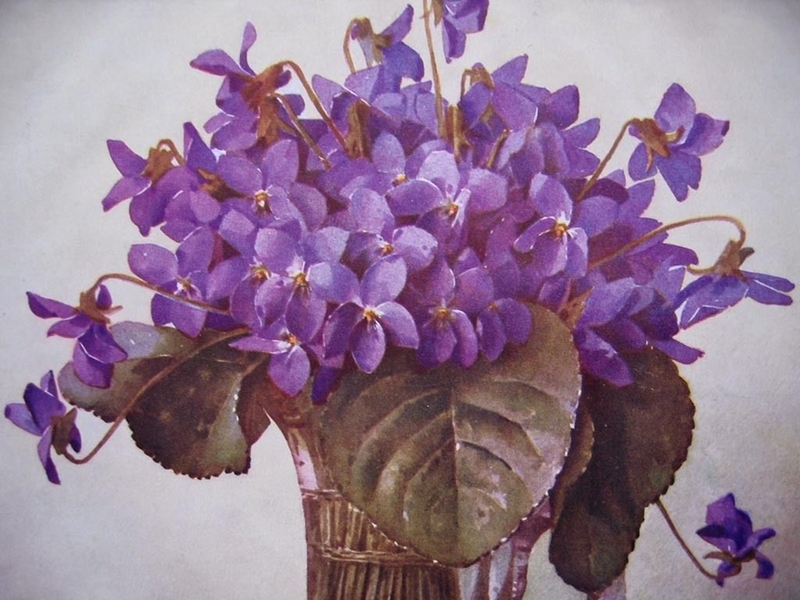 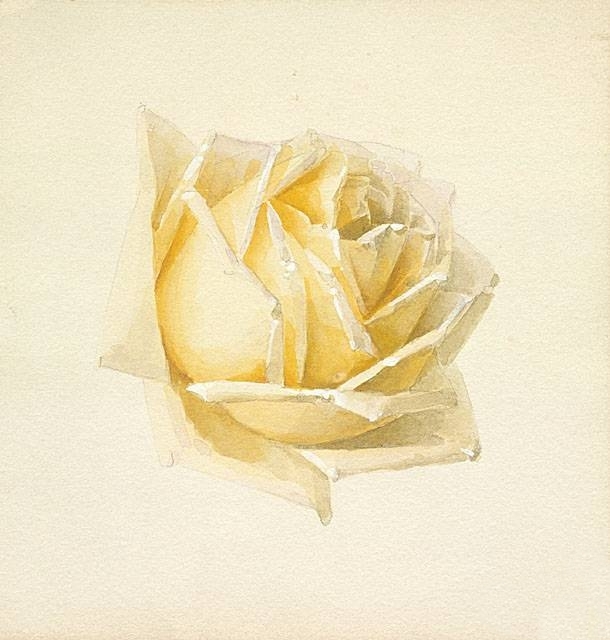 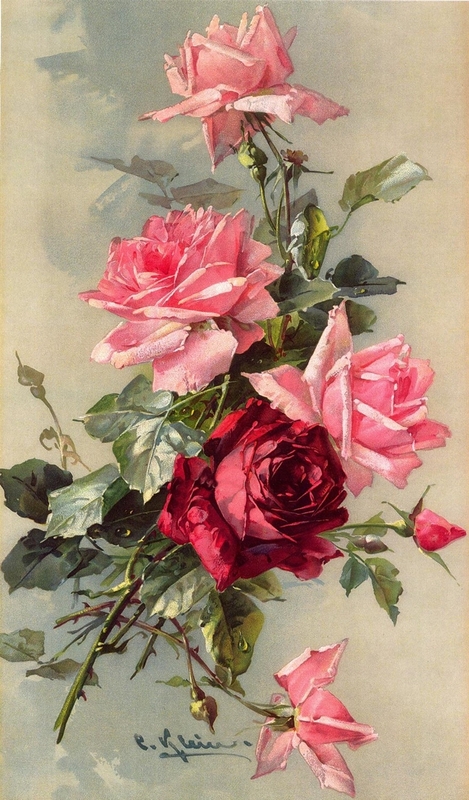 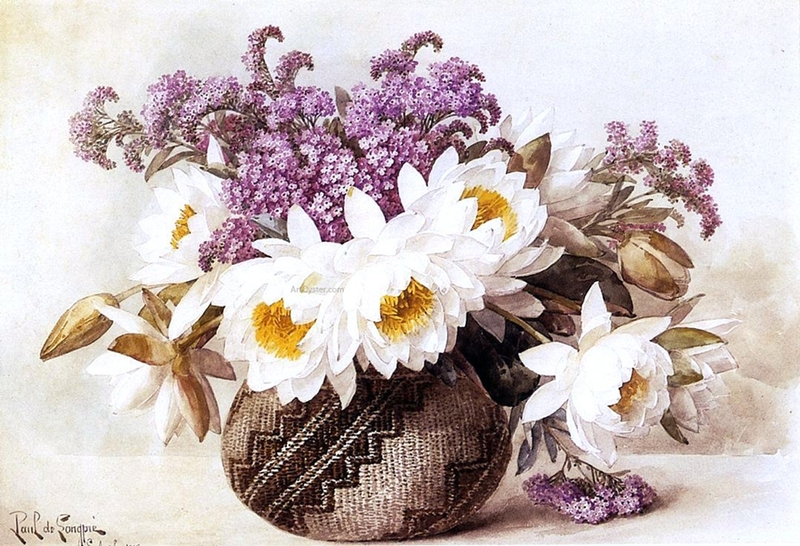 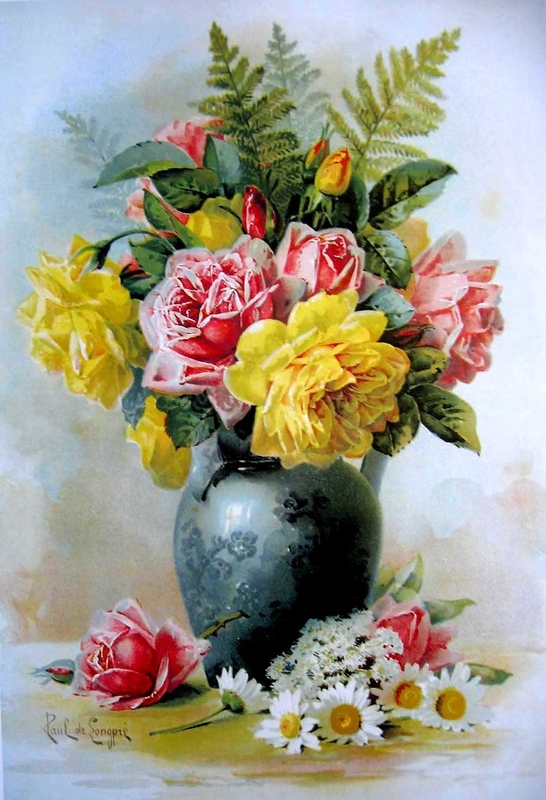 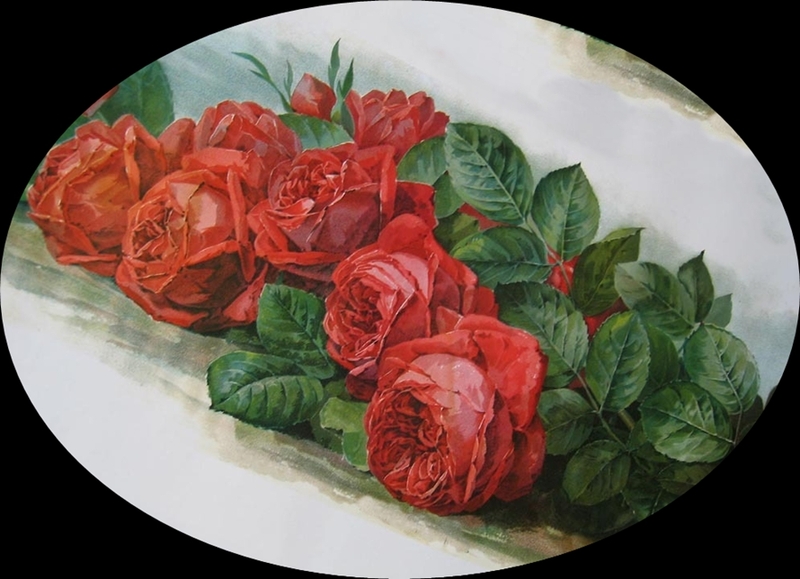 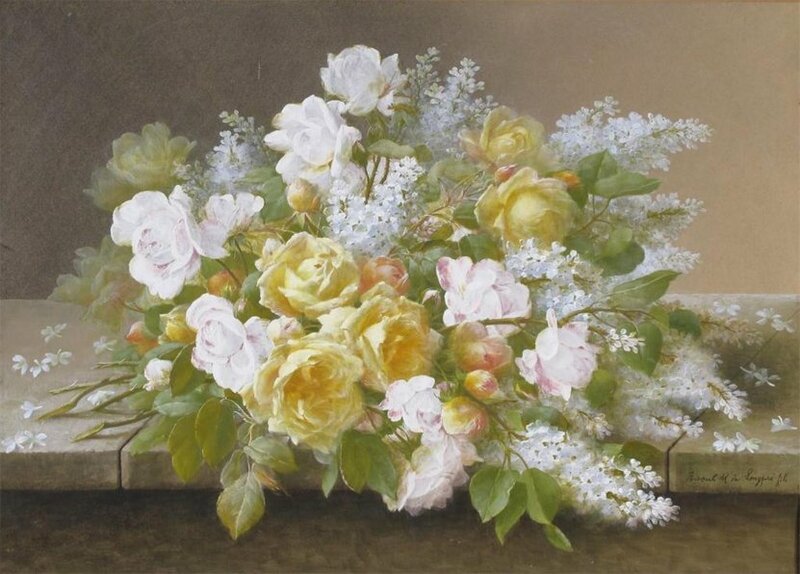 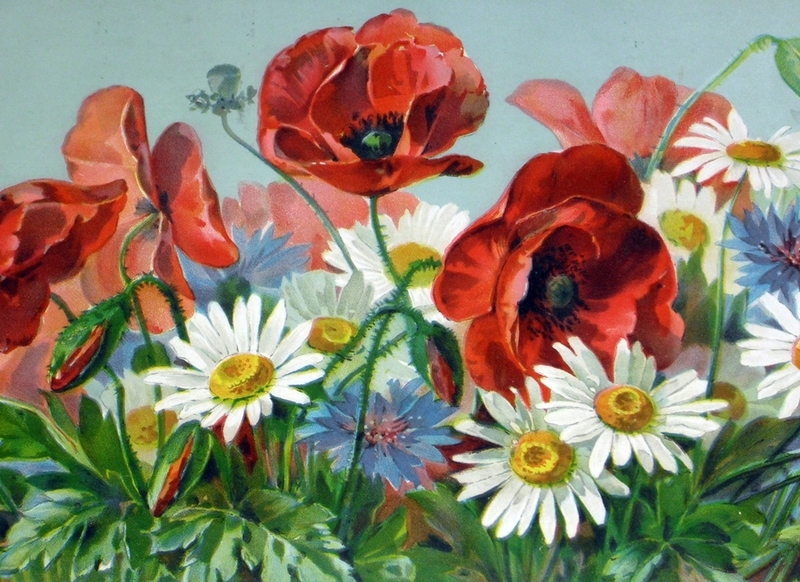 A famous French and American flower painter, Paul de Longpre [1855-1911] was the most significant watercolor specialist to arrive in Los Angeles in the late 19th century and became the city's first major still-life painter. 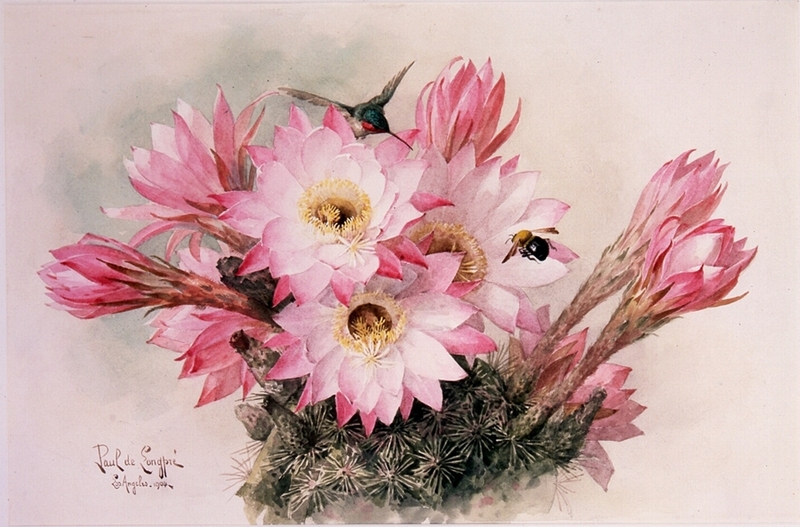 It is likely he was the first southern California painter to earn a major national reputation. 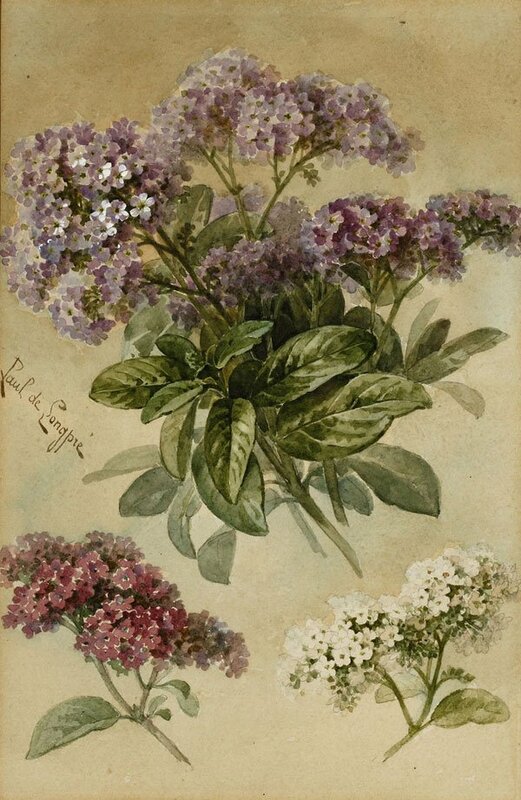 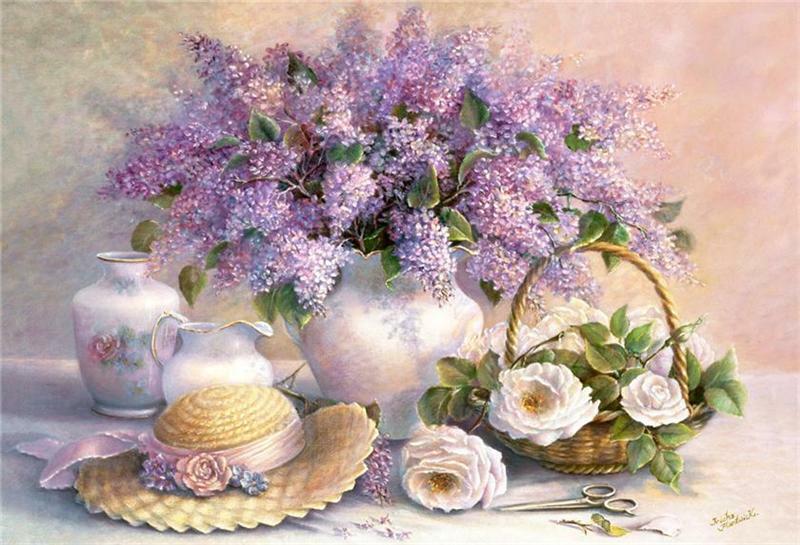 He was born in Lyons, France, where he was a member of the aristocratic, although not wealthy, Maucherat de Longpre family. 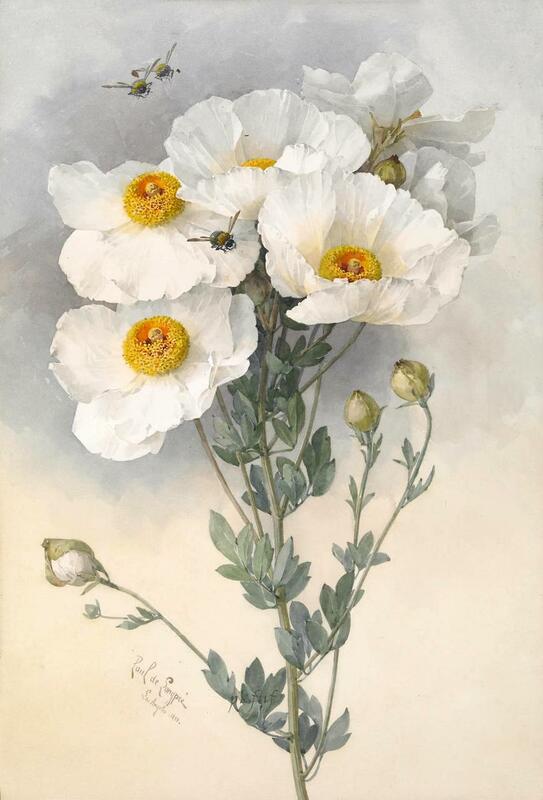 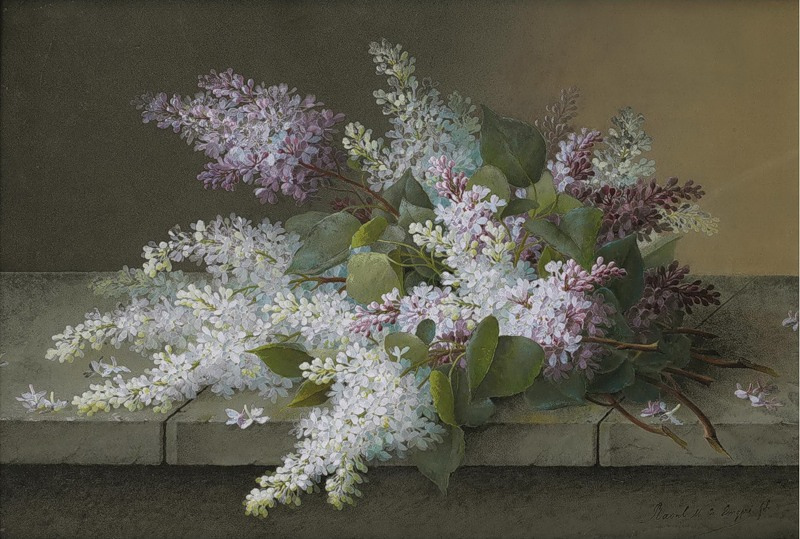 Growing up in Lyon, noted for many flower painters because it was the center of the textile-design industry, he was exposed to that subject matter from his youth. 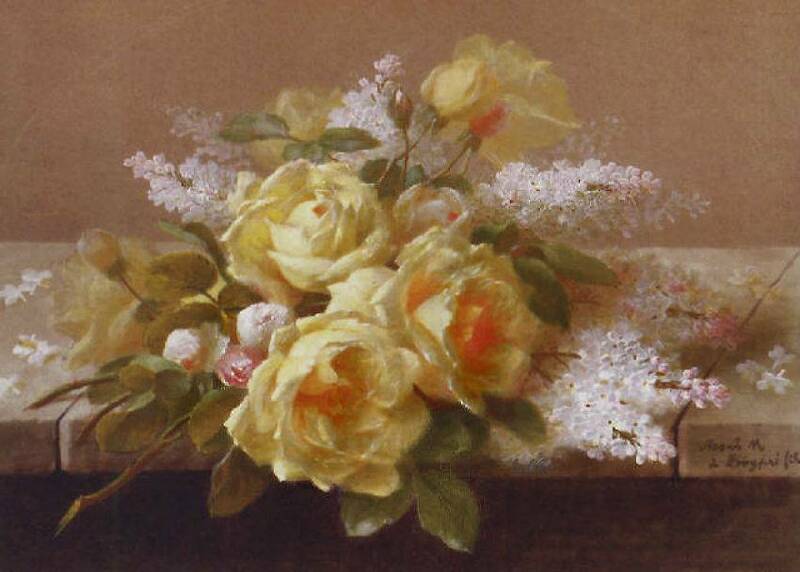 At age twelve, he was in Paris, using his obvious talent to paint flowers on fans. 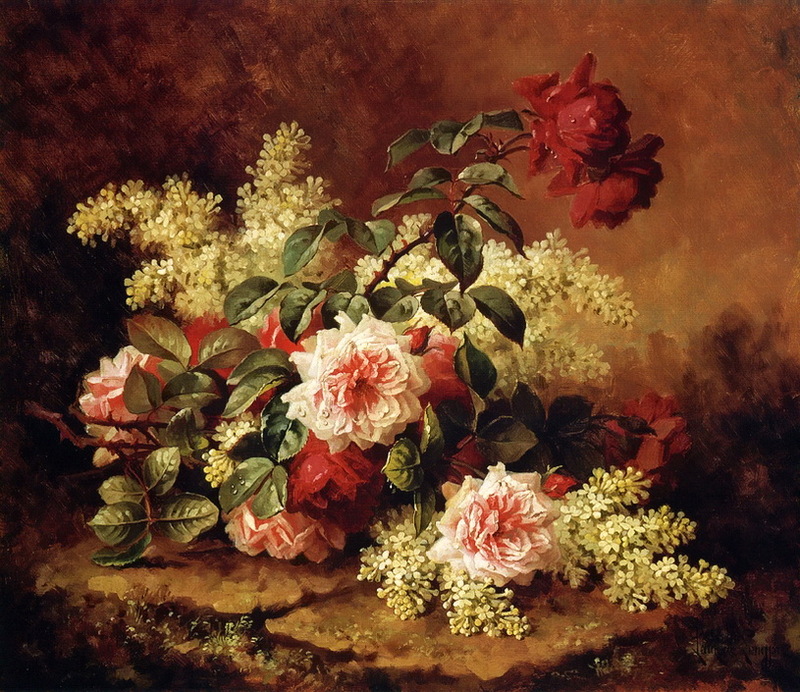 By age 21, he had a painting accepted at the Paris Salon. 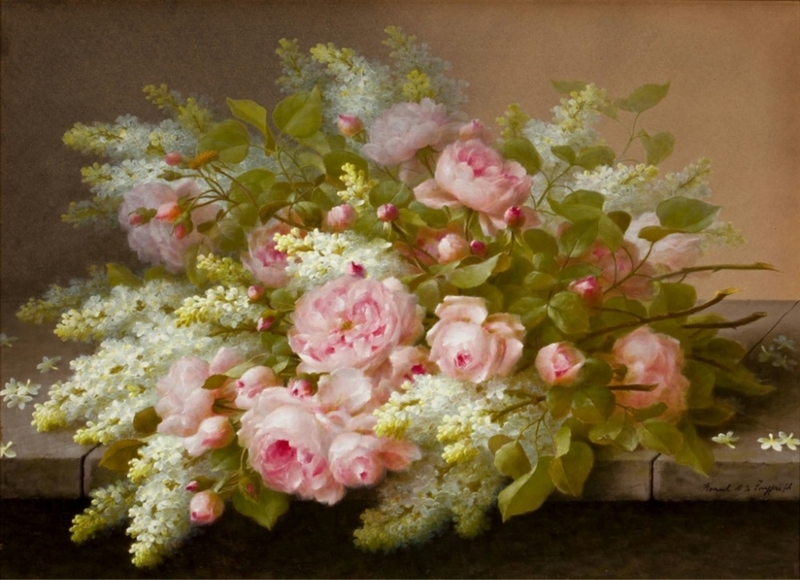 He studied in Paris at the Ecole des Beaux Arts with Jean Leon Gerome and Leon Bonnat and became well known in France, especially with a successful exhibition at the American Art Galleries. 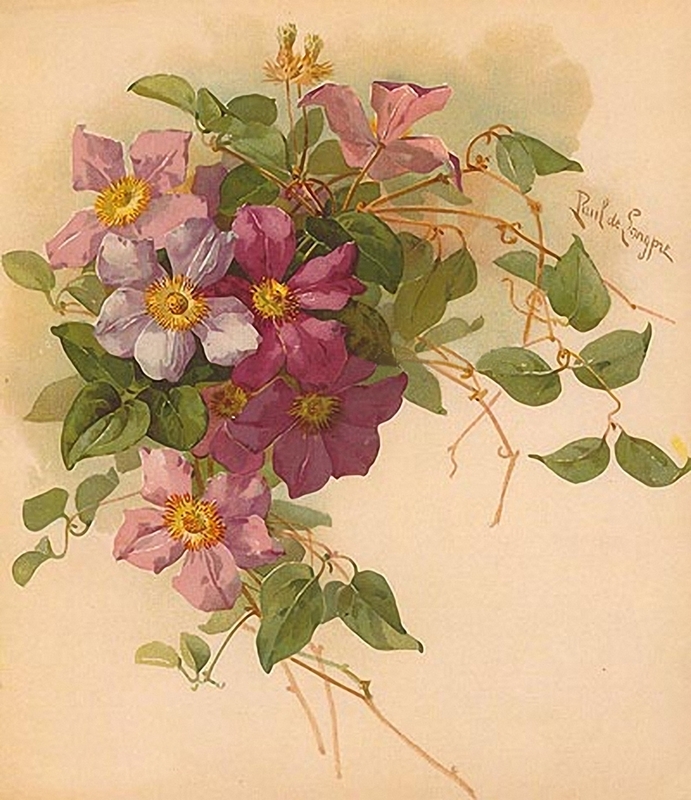 In 1899, he moved his family to Southern California because he was so impressed by the floral landscapes and flowers he saw. 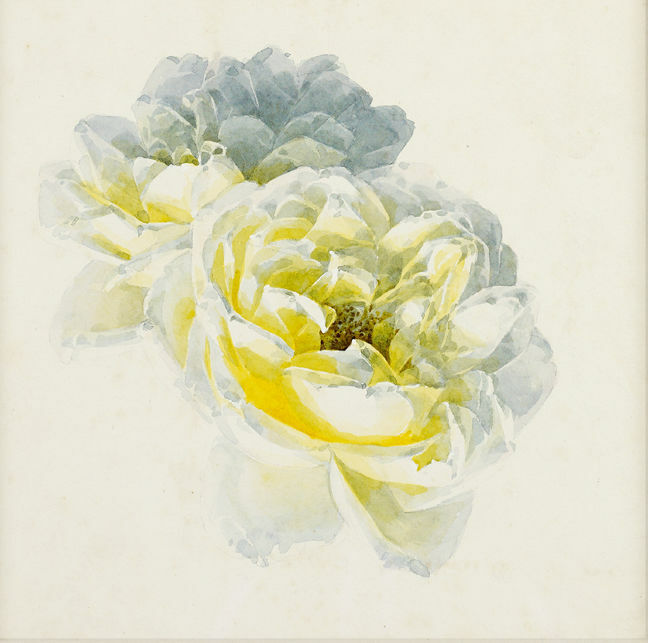 He paid only ten dollars for a huge lot at Cahuenga and Hollywood Boulevard, now part of downtown Hollywood. 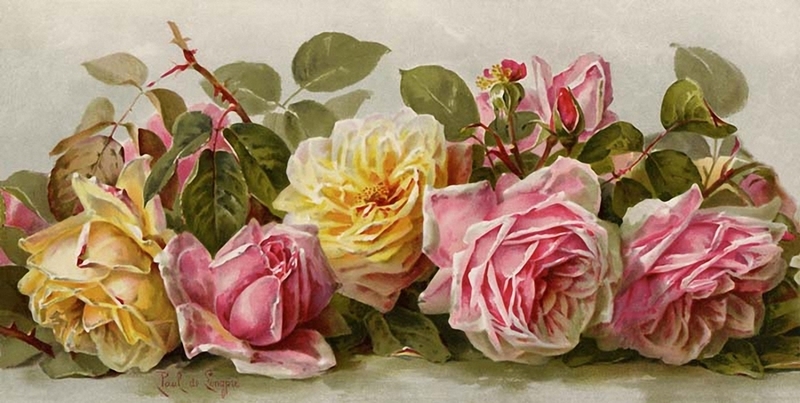 He built an extravagant Moorish style mansion surrounded by a three-acre lot on which he grew four-thousand rose bushes. 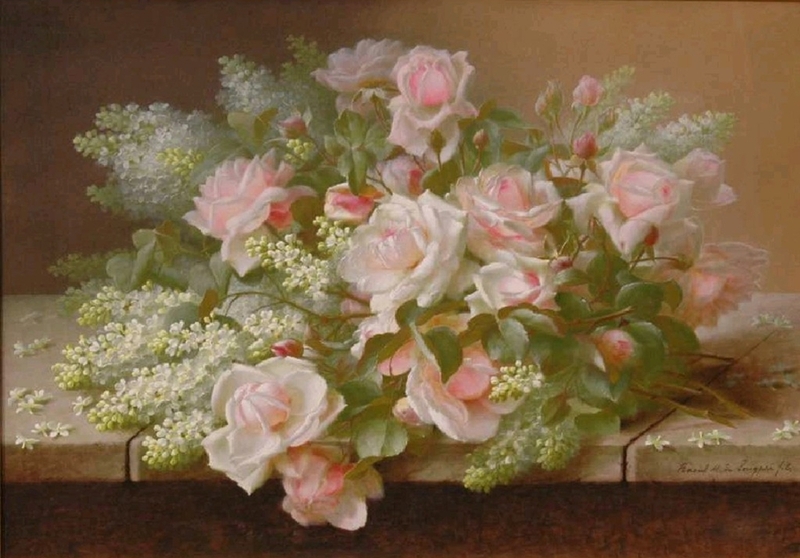 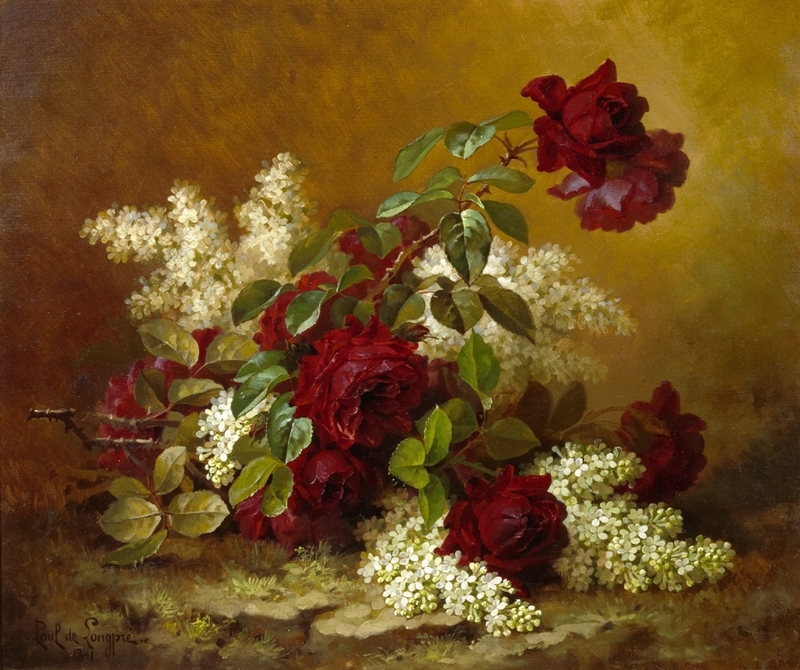 This site became the first tourist attraction in Hollywood, more than 25,000 people annually, and from the gardens, he found many floral still life subjects. 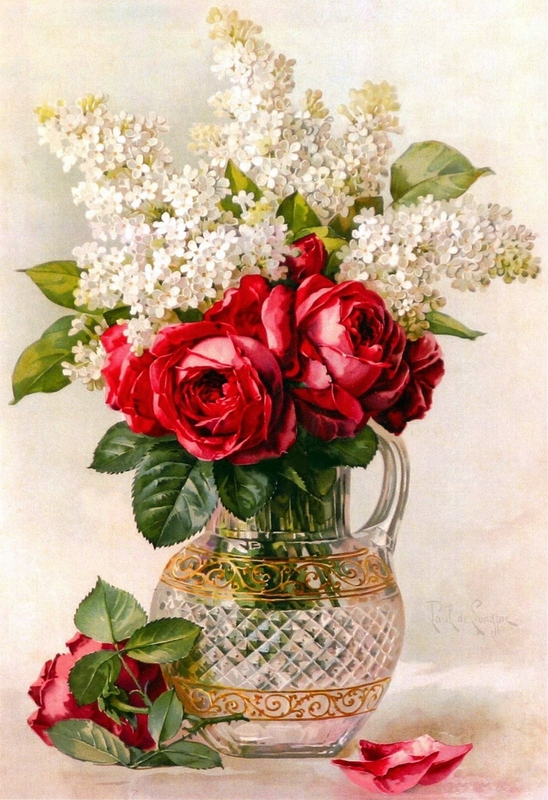 The combination of his unique life-style and obvious talent brought him celebrity status, and his name lives on geographically as De Longpre Avenue, named for him, runs parallel to Sunset Boulevard. 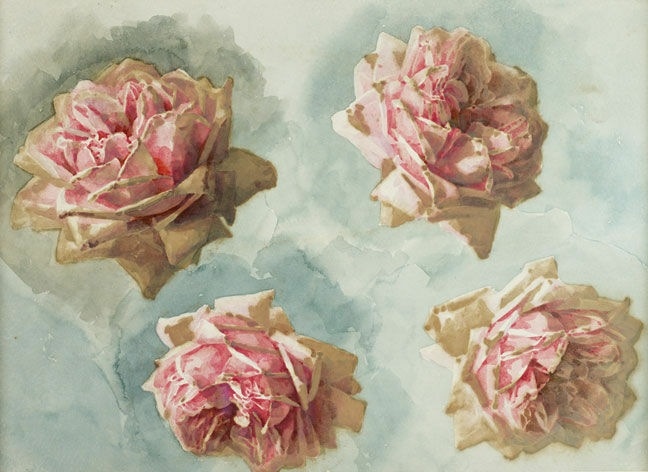 He has become the subject of a major retrospective at The Irvine Museum in California. 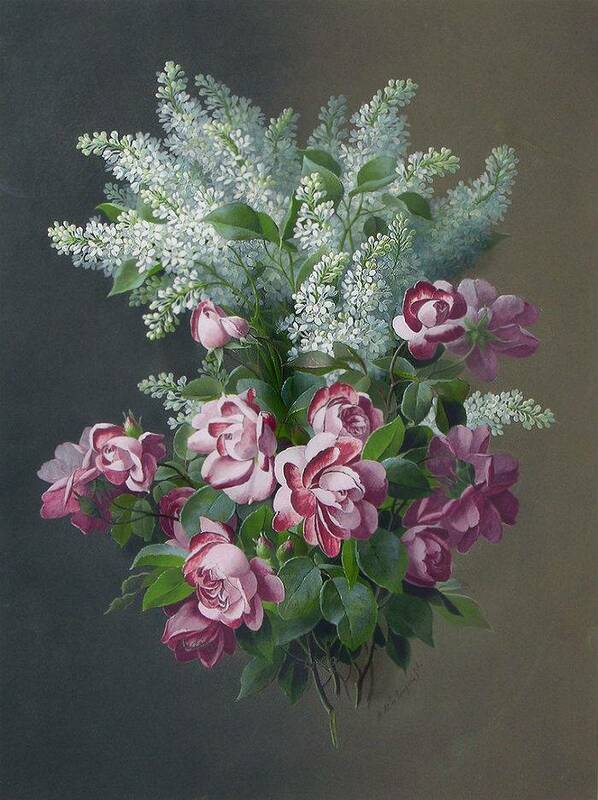 He was also a talented musician and between 1891-1907, and completed sixteen compositions.